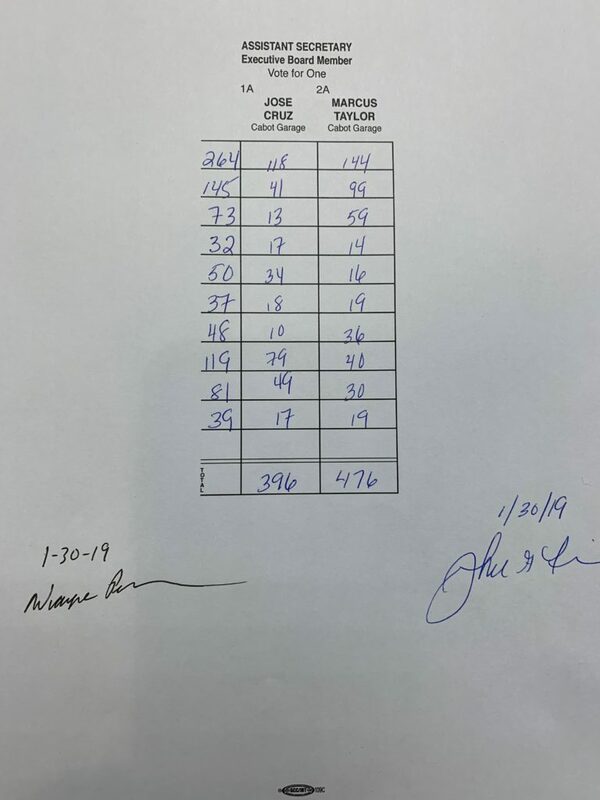 Attached are the election results from today’s election for assistant secretary. Please join us in congratulating brother Marcus Taylor on his victory. Let’s also thank brother Jose Cruz on throwing his hat in the ring, and all those who voted in today’s election.